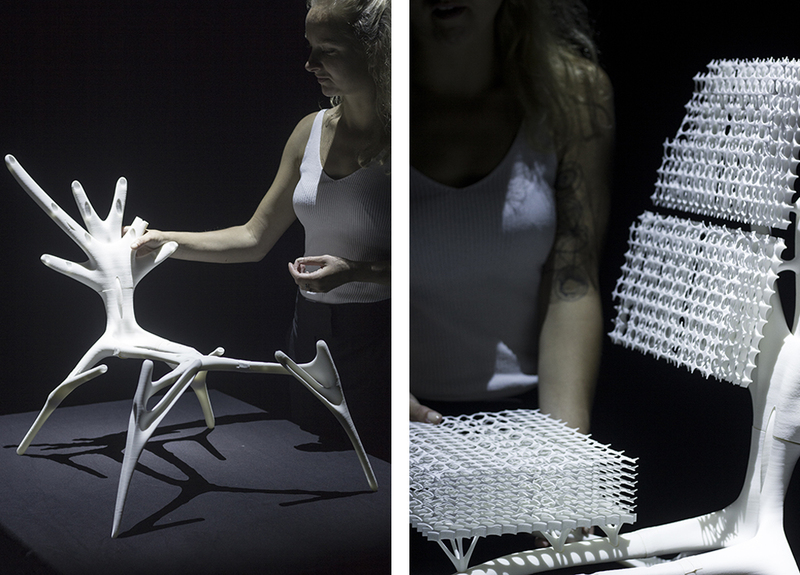 Radiolaria #1 is a real size 3D printed model of a chair made out of a single material that incorporates all functionalities: flexibility, adaptability, firmness, and stability. 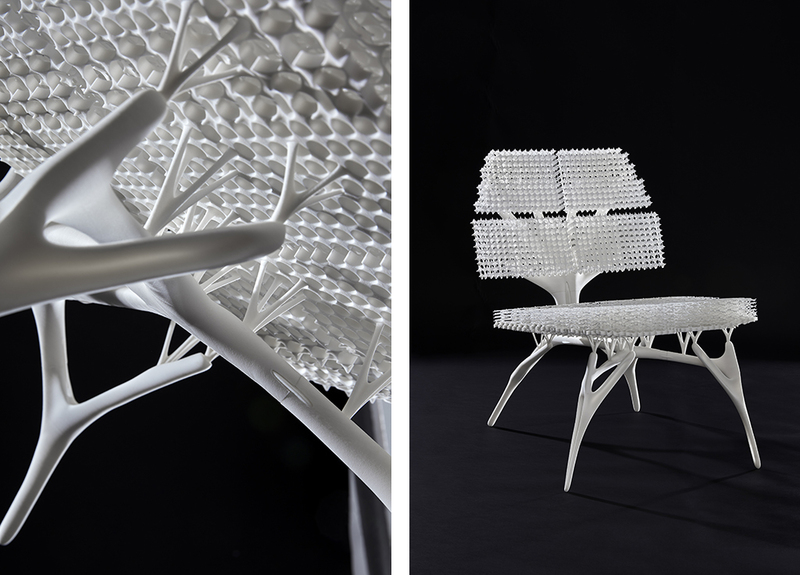 With Radiolaria #1, Lilian van Daal continues her quest to improve, adjust and innovate the production of soft-seating by making use of nature’s laws. In this project design, nature and the newest technology come together to use energy and material in the most efficient way. 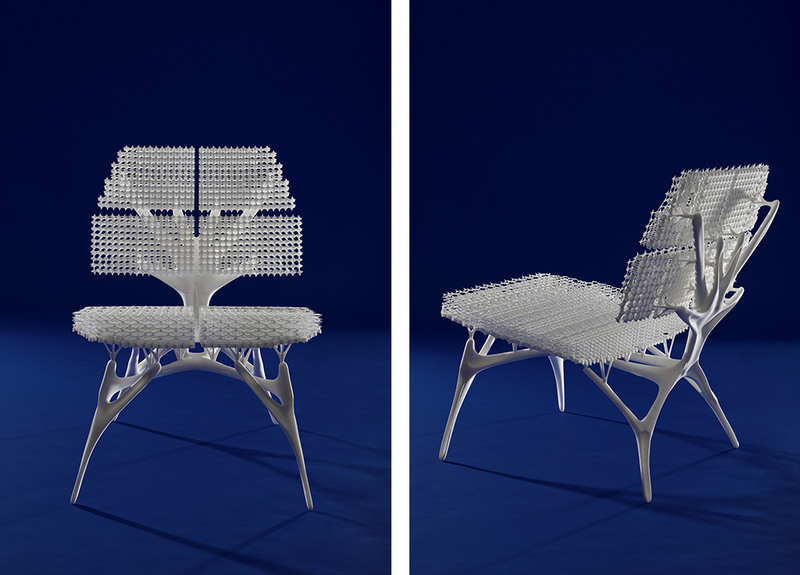 This result is a chair constructed without glue out of a single material: recycled polyamide (PA 12), provided by Oceanz 3D printing. What can nature and its smallest life-forms teach us? 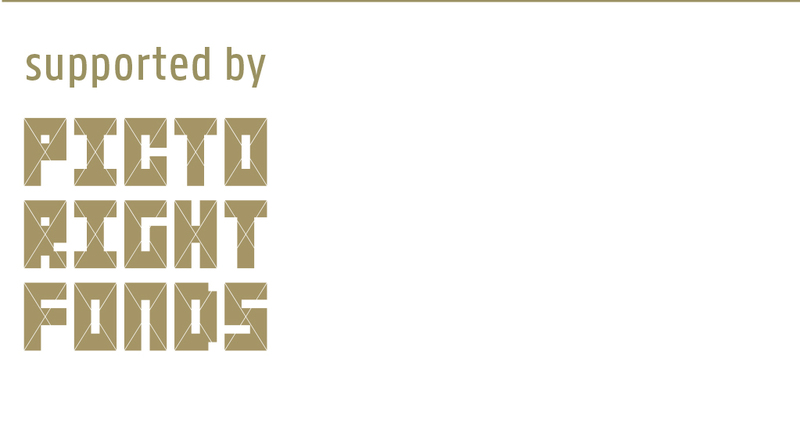 These small life-forms are the starting point of Lilian van Daal’s research. The microorganisms Radiolaria and Bryozoa form the main source of her inspiration. Radiolaria are unicellular organisms that are found as zooplankton throughout the ocean and take their name from the radial symmetry of their skeletal spines. 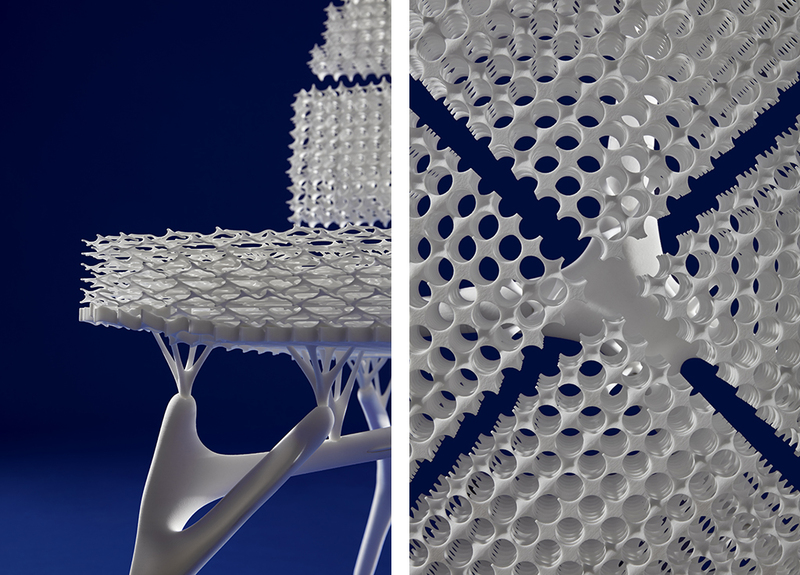 The structure of Radiolaria amplified by 3D printing affords various levels of flexibility and comfort without using different types of foam like in common soft seating. Bryozoa are moss animals that live in tropical waters and freshwater environments. 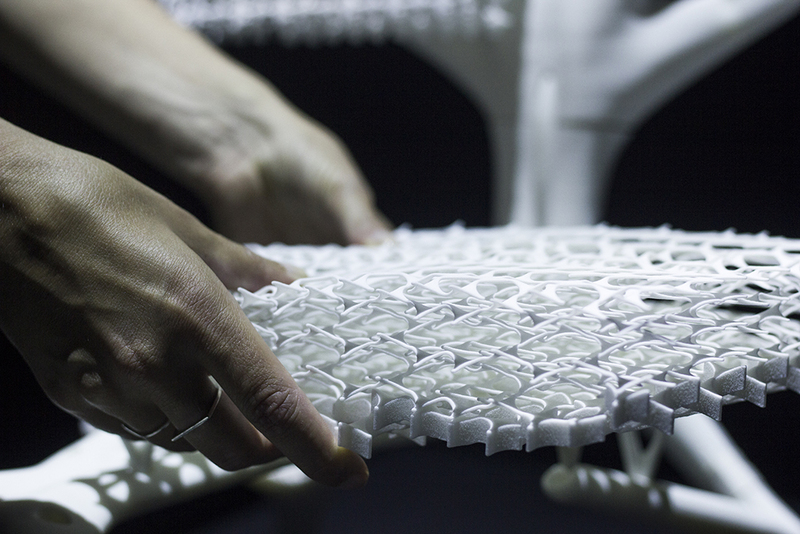 The lattice of connections within Bryozoa skeletons inspired Van Daal to create a system of connection points for assembly of the chair without extra materials such as glue. In general, the leading principle in Radiolaria #1 is formed by symmetry which is also the main characteristic in all unicellular organisms.